THE READERS RAG: BLOOD AND GORE--MURDER AND MAYHEM -- BERNARD CORNWELL'S "THE LAST KINGDOM"! BLOOD AND GORE--MURDER AND MAYHEM -- BERNARD CORNWELL'S "THE LAST KINGDOM"! I became interested in Bernard Cornwell's Saxon novels after watching BBC's televised version of "The Last Kingdom" on Netflix. Not only was the series dramatic and absorbing, it was also somewhat funny, a quality that does not quite come across that well in the actual books. The books were published by HarperCollins with the first book coming out in 2006. I know it is traditional to say that the books are much better than the movies, but in this case I'll have to say they are both pulling head to head. The series is pulling a little bit ahead in regard to humor, while the actual book is gaining traction from the sheer scholarly detail that informs it. If you are like me and you want to know all the details of how the Danes and the Saxons conducted warfare in England in the late 800s, well, in these books you've come to the right place. I'm not sure why, but for me, the world of Bernard Cornwell with its plots clogged with tales of clashing armies assaulting each other behind death dealing shield walls, hand to hand combat, and the intimate details of the varieties of ways to kill another human being with a broad range of implements--a sword, an axe, or a sharpened hoe during warfare--appears to be my natural environment. The central character through whom the story is told, i.e. Uhtred, son of Uhtred, of Bebbanburg, is at turns gentle, truthful, murderous and barbaric, and throughout it all he holds true to the code of honor his adopted Danish father brought him up with, grounded in his belief in the old Norse Gods of Thor, and Odin, and the three spinners who sit at the foot of the tree Ygdrassil and determine the fate of everyone in the world. Uhtred is unique because he has a foot in two worlds. On the one hand, he is the child of a Saxon nobleman, yet he was captured by his adoptive father, Ragnar, and in every respect adopted Danish ways. However, upon his adoptive father's untimely death, he is inexorably drawn into the service of the English King Alfred (the Great) and the Christian God he serves. The major character, Uhtred's, opposing commitments, nationalities, and faiths play a central role in the evolution of Bernard Cornwell's Saxon Tales. As a person who has also been torn between competing loyalties and legacies, and who has been drawn into many conflicts over the years that have arisen from them, I certainly comprehend and empathize with these kinds of struggles. Thus, I have been greatly entertained as I've read these novels. Bernard Cornwell's Sharpe Series which take place during the Napoleonic Wars are also very similar, full of battles, conflict, and the tough, often inadequate choices that must be made during times of war. I also understand that the inspiration for much of Bernard Cornwell's work is the Captain Hornblower series, which my father used to read to us children as bedtime stories. 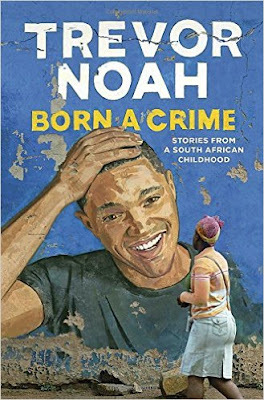 Probably a bit bloody in terms of content for kids, but it tells you how I cut my teeth in the reading arena and the kind of content that informed my intellectual growth as a young person. Bernard Cornwell is one of the older generation of writers who tend to dominate the landscape simply by virtue of their steady and overwhelming output. For instance, John Grisham, James Patterson, Danielle Steele, Lisa Scottoline, Mary Higgins Clark--we all know who these people are. They come to writer's conferences and take charge of the scene and the rest of us kind of scramble around trying to catch some of the rays they cast off. You want to be able to say of these kinds of writers, "but they are not really literary, they are fairly vulgar and brash with their constant creation of new product." On the other hand, with tens if not hundreds of books in print and millions of readers around the world, what can you say but "give me some of that." Literary, in the dazzling light of these major stars, comes across as tight lipped, staid, and utterly pretentious. During my research on Bernard Cornwell and listening to his interviews, he seems like an honest, approachable and likable guy, but my suspicion is that this amiable surface hides a fairly demanding intellect. Some of that probably arises from his somewhat unusual upbringing. He was born in 1944 and was one of five children adopted by a couple--Joe and Marjorie Wiggins who were part of a now defunct fundamentalist Christian sect called Peculiar People. From what I have read, both were extremely abusive, although Cornwell reconciled and maintained a decent relationship with his adoptive father, Joe Wiggins until the latter's death. He never had anything more to do with his adoptive mother. Out of respect, he only adopted his biological mother's last name "Cornwell" after his adoptive father, Joe Wiggins, died. His biological parents were a Canadian airman named William Oughtred and Dorothy Cornwell a member of the British Women's Auxillary Airforce who had a brief affair during the war and were not equipped to raise him. Needless to say, the adoption didn't work out that well and it was clear to Bernard Cornwell at seven years old that his adoptive mother--Marjorie Wiggins--did not like him. Once he left the home of his adoptive parents, Bernard Cornwell went to London University and majored in theology, but eventually decided that he was an atheist, a position he has maintained up to the present time. Subsequently, Mr. Cornwell worked as a teacher, and then for the BBC. During that time he had one failed marriage and one child. Then in 1978 he met his current wife, Judy, married her and moved to the United States. Because he was unable to obtain a work permit, he ended up taking his writing very seriously and began to produce the novels for which he is so well known today. Eventually, around his mid 50s, he ended up getting in touch with his biological parents and met with his step brothers and sisters, and got along with them quite well. He was really surprised to find out how much he looked like his Dad, and when it came to his Mom she was a big fan of historical novels. 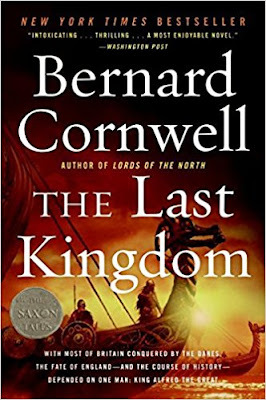 If there is one thing that I admire about Bernard Cornwell it is his mastery of the craft of writing an historical novel. He is great at sketching memorable, complex characters whom you care about and then putting them into situations that keep you turning the pages, desperate to find out what happens to them next. He is also a master of plot structure. He takes you down a path, pulls a side story out of thin air, takes you down a path you hate to tread, and then rescues you when you least expect it. This is just someone who has done his homework thoroughly, has acquired excellent skills of storytelling, and executes his craft with confidence, consistently producing an extremely high quality of entertainment. While I'm sure there is a certain level of grinding away involved in writing two books a year, you never feel that or see it. "You write for yourself first. You write what you want to read." "Write, rewrite, rewrite again, and do not worry about anything except story. It is story, story, story. That is your business." "Once the story is right, everything else will follow." There is more, but I don't want to take the pleasure away from you. As of 2015, Bernard Cornwell had sold up to 30 million copies of his books and he shows no signs of stopping, although he has slowed his output from two books a year to one. Each book includes a map where the dramatic scenes take place, plus a list of names and places. In addition, Cornwell provides a brief discussion at the end of his books describing the historical facts versus the ways in which he has filled in the blanks of left by history with his imaginative details. There is no doubt that Bernard Cornwell will always have an audience for his work and a friendly hand outstretched towards his readers and acolytes who wish to follow in his footsteps.